Exiled in Paris since the civil war of Algeria, Akim El Sikameya excels in mixing European and Algerian influences. He pleases an international audience with his exceptional voice of countertenor. Coming from the Arabico-Andalusian traditional culture, he adds a bit of Jazz, Flamenco as well as Gypsy and Latino music. This album revolutionizes the Algerian music. With odes to charnel loves and modern fairytales, he invents a pictured script, whilst fighting against religious fundamentalism and corruption. The son of the famous Violeta Parra is sometimes nostalgic, sometimes in love, sometimes melancholic but always committed. He sings many things : hope, the American dream with ironic, the tough daily lives of Chilean people as well as his love for democracy. Innate traveler, the artist has captivated the entire world with his guitar bound to his sensual and warm voice. The “Kan Ha Dskan” (songs to dance) as well as the “Gwerzioù” and “Sonioù” (lament and songs to listen) she sings have thrilled the entire world. Annie walked along different musical genres as she mixed her voice with foreign instruments and harmonies. With her Jazzy quartet, she plays a Breton music coloured with different musical frequencies. Antonio Placer is a singer with a vigorous and warm voice, a guitarist and a talented composer, in love with polished words. He talks really deeply to the hearts. With vitality, spontaneity and sincerity, he surprises and convinces. On stage, he expresses everything with passion and presents his creativity through a poetic and harmonic music. Bob Brozman, the famous bluesman from New York with the guitar made of steel, is crazy about the most unexpected musical encounters. He collaborated with all different sorts of projects, with musicians from all over the world. Strong from successful partnerships, Bob Brozman is a prolific artist. Open minded, he has got an unlimited dynamism. He interferes with agility and delicacy in all sorts of musical genres. With his guitar, he produces very peculiar beats and builds a subtle mix, from the Blues of the Mississippi to Hawaiian, Indian, African, Japanese and Caribbean tones. « If music had to exist in another world, Bob would represent the Earth for interplanetary partnerships». The most enigmatic of all Quebeckers (during 15 years of career, Edgar BORI was a name without a face on his albums and on stage) decides to take of his mask in his last show Salut Bori. 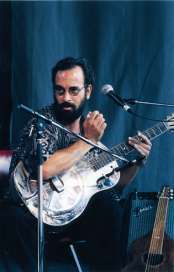 His new album, Fous les Canards, released on the 29th of September 2009 precedes his Quebec and France tour "Salut BORI". An explosive and engaged album, an intimate show in which BORI meets the audience without a mask, for the first time in 15 years of career. 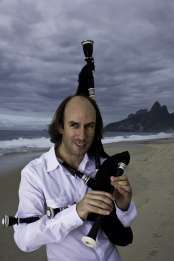 Carlos Núñez is a famous name within the Celtic world music. Besides, he always looks straight ahead and never stops to brush new horizons. 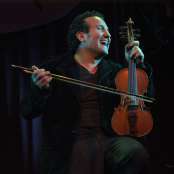 Such as on several records of the Chieftains as well as on his own album "Os Aoress Libres", he keeps succeeding with verve in highliting the links that connect very different musical backgrounds. He released a new album in August 2010 "Alborada Do Brasil" on which he tries and seek his Brasilian roots. The work of Carmen Cortes brings together the traditional Flamenco with a contemporary artistic practice. 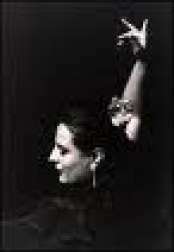 As to this dancer, the Flamenco is a very expressive dance, which is both sensual and violent. She discovered the Jazz thanks to her husband, a guitarist and then tried to insert him in her choreographies. Through dance, Carmen Cortes tries to express the deepest feelings of human beings that she describes as the essence of Flamenco. The grace and power of Flamenco dancers present a beautiful sensuality, always gripping and captivating. The music Fawzy plays, is a bridge between the East and the West. The artist likes to mix Jazz with Arabic instruments. His various tours in Europe allowed him to introduce to Occidental audiences both traditional and contemporary music. Through his perfect practice of lute, he became one of the most successful artists of his time inn the entire world. We call Hakim, the Lion of Egypt. With his grazed voice and social topics, Hakim represents the popular side of Jeel music. An electric style, which is influenced by the traditional music of Egypt thrills the inhabitants of cities and the countryside. Of all modern stars from Egypt, Hakim is the most open to the Nil’s New Wave as he plays rhythms from the World Music such as Cuban beats. 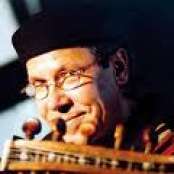 At ease on stage, with a determined smile, Hanino, the Moroccan from Lille sings a vehement Raï, mixing Chaâbi and Aâlaoui. 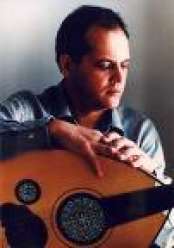 With his sound voice, he created a genre between Raï, Moroccan music and Reggae. With a beautiful presence on stage, some eccentric airs of a diva, a sweet voice and a bit of madness, Jasmine Vegas represents one of the underground artists of nowadays. This musical strangeness comes from the US after “no-wave”. As a fashion designer and performer at East Village, she is also the leader of the Jasmine Band. The diva has built an unusual career and plays for audiences an electric-pop folk music that suits her perfectly. The new groovy voice coming from the cold, a mix between Nora Jones and Joni Mitchell. 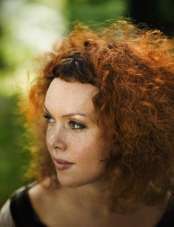 Kristin Asbjørnsen is a soul jazz singer haunted by a natural charm, with a unique and sensual voice. Between velvety tunes and organic distortions ; she has got a really peculiar way of approaching the musical creation. She plays a wide range of musical genres : Gospel, Jazz, Improvisation, Pop, Rock, African Blues, Electronic Music, which all create a very unique musical style. L'Attirail is an imaginary and borderless folklore. A bit of freedom in musical creation, without any particular roots : a mix of many different acoustic tunes with an energy close to Rock & Roll. Each album is designed as a musical road-movie based between Paris, Moscow and Istanbul. After finishing High School in Saint-Calais, he went to study first in Reims and then in Paris. From 1953, he patronized the nightclubs of Jazz, between Paris and Brussels, and introduced himself as an excellent musician. At the age of 30, with many concerts all around the world and 36 albums, the Makossa Soul is still very topical, only thanks to his famous track. From Michaël Jackson to Caméo, Full Force, C&C Factory, Jay Z, and Miss Jennifer Lopez, few of them has resisted not to use the MAMAKO, MAMASA, MAMAMAKOSA sounds. Percussionist, singer, writer, composer and producer, Manuel Wandji alias “Wambo” is a Franco-Cameroonian artist. He keeps renewing his creativity, thanks to the various trips he experiences all around the world and all the different people from the music world he meets. Even though he adds to the music he plays every new sounds he discovers, Africa remains his main inspirational influence. 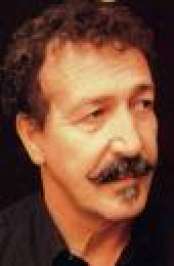 Aït Menguellet is one of the most famous artist in the contemporary Kabyle music. Menguellet is a poet who became the symbol of the Berber claim for identity. With his deep voice he transmits the roots of universal wisdom. Whilst strongly advocating for the Berber cultural identity he refuses the name of “enlisted artist”. We can say that his words come from the heart. 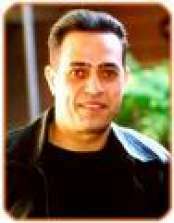 Mikidache is an author, composer and singer, influenced from Mgodro, Twaraab, Pop, Salegy and Oriental music. In Mahorais, “Mikidache” means « a good person». 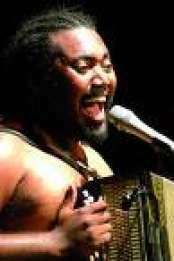 Even though he now lives in Paris, Mikidache is the most famous musician of the Islands of Comores. Through a melodic and rhythmic repertoire he manages to keep the nostalgia from the ancient time and to create an atmosphere of kind sadness and sincerity. 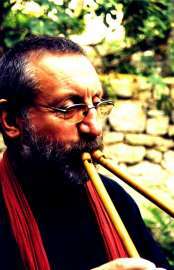 An “actual traditional music”, an “open-minded music” or a “free trad”! 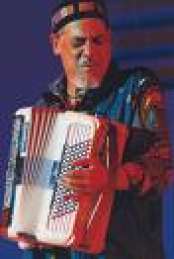 Montanaro is a multi-instrumentalist musician. He plays the saxophone as well as the accordion, diverse flutes and other curiosities. 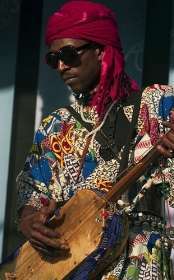 The Senegalese Nuru Kane gives the opportunity to Northern and Western Africa to meet. 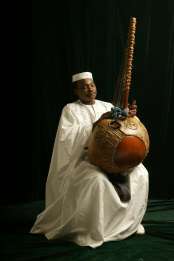 This is an unification full of energy and generosity, which goes from the Mbalax of Dakar, the Mandingo Blues, the Gnaoui of North Africa to Jazz. Nuru Kane is an artist highly charged in energy who is worth to be discovered on stage. 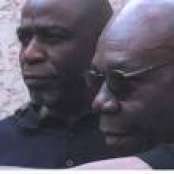 Two of the most famous artists of the contemporary African music world are meeting at their highest ! Ray Lema is Congolese, younger and more reserved than Manu. However the two of them are together creating a Bantou Beat. René Lacaille is the embodied vivacity of the Réunion. He is completely immersed in his own cultural heritage and therefore advocates for joy and conviviality. 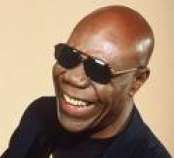 He produces amazing concerts, playing on Sega and Maloya rhythms while flirting with Blues or Samba in order to invite his audiences to dance. Born in Mogadiscio from an Italian father and an Ethiopian mother, Saba represents the mix of African and European cultures. On the album Jidka (“the Line”), she explores the connections between Somalia and Italy with sensitivity and humor. 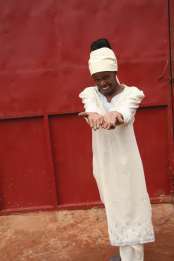 She mixes acoustic Guitars with Koras on traditional African tunes, sometimes getting close to Pop. Sally Nyolo is one of the amazing voices of the internationally known band : Zap Mama. The singer belongs to the generation of the African musicians who are concerned about the tradition without being scared of looking forward. Singer, author, composer, Sally carries her home Bikusti all around the world. The Joubran trio is composed of the Joubran Brothers : Samir, Wissam and Adnan. Al of them are real virtuosos of oud. Together, they take on board their audiences on acrobatic tunes, between a thrill and a caress. They play rhythms full of life and compositions endlessly renewed thanks to a deep complicity and an innate talent to improvise. In 2006, Eric Fernandez presented « Verdine Tempo », a show built around flamenco at the “espace Pierre Cardin”. On stage, guitars, accordions, Cuban piano, Latino percussions, electric bass, cajon and palmas meet together in order to create tunes settled between Gypsy and Hispano-American influences.